I Love English, 오늘은 ‘Vision’ 과 관련된 대화를 듣고 다양한 영어 표현 알아보겠습니다. //News Clip// A Historic day in sunny Key west Florida where a 64-year-old Dianna Nyad just became the first person ever to swim from Cuba to Key west without a shark cage. Dianna Nyad: We should never ever give up! You are never too old to chase your dream! A: It seems next to impossible for a 64 year old woman to swim 110 miles. But she made it because she had a dream. Next time, we are going to talk more about what your vision is. Please think about what kind of vision or life goal you have. 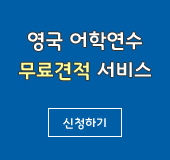 Teacher: 수업을 시작하기 전에, 동영상 하나를 보겠습니다. ///뉴스/// 64살의 다이애나 나이아드가 사상 처음으로 상어 보호막 없이 쿠바에서 플로리다를 수영하는데 성공했습니다. Dianna Nyad: 여러분 절대 포기하지 마세요! 꿈을 위해 달려가는 데 있어 나이는 절대 중요하지 않습니다. A: 64 살의 여성이 110 마일을 수영하는 것… 정말 불가능해 보이는데요. 하지만 나이아드는 꿈이 있었기 때문에 성공할 수 있었습니다. 다음 시간에는 여러분의 비젼에 대해 나눠보겠습니다. 여러분이 어떤 비젼이나 목표가 있는지 생각해 오세요. ‘You are too old to chase your dream’ 은 당신은 ‘too old’ 너무 늙어서, 너무 나이가 들어서 ‘to chase’ ‘~무엇무엇을 뒤쫒다, 추구하다’ your dream, 너의 꿈을 추구할 수 없다, 즉 ‘너무 나이가 들어 꿈을 따라갈 수 없다’는 말인데요, ‘You are never too old to chase your dream’ 이라고 했죠! ‘Never’는 ‘결코 ~무엇 무엇이 아닌’ 이란 뜻입니다. 그래서 ‘꿈을 위해 나가는데 있어서 너무 늙은 것이란 없다, 즉 나이가 중요하지 않다는 것’을 의미합니다. ‘Too~to’, ‘너무 ~무엇 무엇해서 ~무엇 무엇할 수 없다.’는 뜻인데요, 예문을 통해 살펴볼까요? · It seems next to impossible for a 64 year old woman to swim 110 miles. ‘It seems next to impossible’ 말 그대로 하면 ‘그것은 불가능한 것 옆에 있는 것처럼 보인다’라는 말인데요, ‘it means it seems almost impossible’ or ‘it seems very difficult’ ‘무엇인가가 정말 불가능해 보인다’는 뜻입니다. 그래서It seems next to impossible for a 64 year old woman to swim 110 miles. 하면 it seems next to impossible 정말 불가능해 보여요 for a 64 year old woman, 64 예순 네 살의 여성이 to swim 110 miles, 110 마일을 수영하는 것은 즉 ‘예순 네 살의 여성이 110마일을 수영하는 것은 정말 불가능해 보여요’ 라는 말이죠. · But she made it because she had a dream. ‘Make it’ 은 ‘~무엇 무엇을 이루다, 성취하다’ ‘accomplish , to be successful in a particular activity’ ‘제 시간에 도착하다’ ‘to arrive somewhere in time’ 등 여러가지 뜻이 있는데요, 본문에서는 ‘accomplish, 해내다, 성취하다’는 뜻으로 쓰였죠! 그래서 ‘she made it because she had a dream’은 ‘she made it’ ‘그녀는 해냈다’ ‘because she had a dream’, ‘꿈이 있었기 때문에’ 라는 뜻입니다. 일상생활에서 이 ‘make it /made it’이 언제 어떤 상황에서 쓰일 수 있는지 예문을 통해 알아보겠습니다.